Poznan lies halfway between Berlin & Warsaw. For many centuries this helped Poznan maintaining its importance. Poznan - city drowned in history. It was first Poland's capital & saw many dramatic events during nation formation. Today it’s a diverse & lively large city which can offer traveler many activities & entertainments. 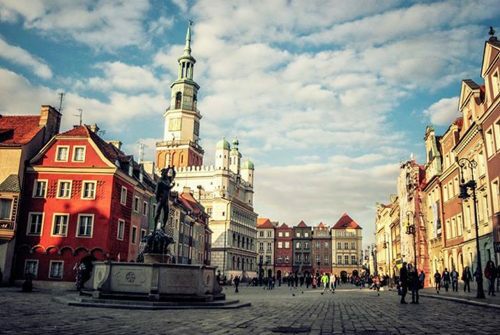 A vibrant nightlife, fascinating museums, many amazing places in the vicinity - even Poznan Central Square alone is worth to come here. Almost all modern high-tech industrial Poland’s fairs are held in Poznan. From Soviet times, a so-called milk bars network has been preserved. Simple & cheap food is served here, so young people still appreciate such institutions. Tourists tired of excursions & impressions also should not miss the opportunity to eat here, because a restaurant dinner will cost an approximately 15 EUR. Poznan held not only industrial exhibitions, but cultural events are also taking place. Spring concerts are held here: "Poznan musical spring," theater festival "Malta" & modern dance festival. Besides beautiful architecture, the city has many exciting museums: Museum of archeology, musical instruments, a museum of the Poznan uprising & Henrik Sinkevich museum. If you search for passenger’s transportation offer, 8Rental can help tourists organize a trip on most reliable & trustworthy conditions. Hire a vehicle with driver & receive a unique proposal. 8Rental is targeting to satisfy every detail passengers may require during every trip. Hire a chauffeur driven car in Poznan & explore all proposed benefits which include an offer. Price, containing fuel, toll roads & taxation. Conventional vehicle hired with driver - variant proposed for saving customer’s funds. 8Rental’s chauffeur will pick tourist up from requested address. Modern saloon, installed heating/ conditioner system & comfortable seats – elements needed for a great trip. The chauffeur is competent & intelligent. Many business plans & meetings occur in big cities. To hire business or first class car with the driver apply for it on www.8Rental.com. Vehicle’s excellent design & style creates individual comfort for business or personal trips. A driver is very tidy & can answer every question. Every member working in the 8Rental team has excellent professional abilities. 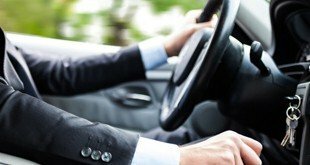 Chauffeurs & drivers are verified on driver license documents. Professional chauffeurs provide excellent service for customers, as received perennial experience is applied during every trip.